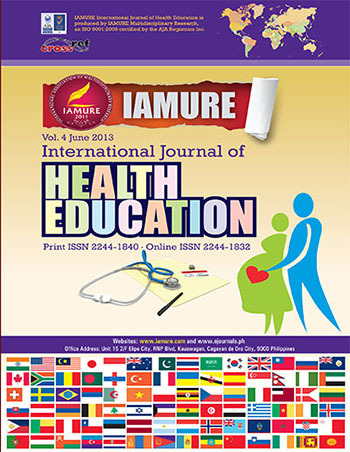 The IAMURE International Journal of Health Education aims to publish new discoveries in health education which are contributed by member researchers from around the world. 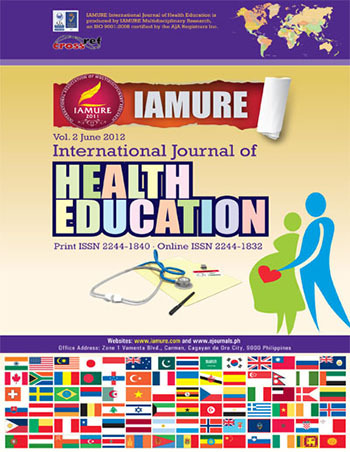 The IAMURE International Journal of Health Education is an international peer reviewed, online, indexed, cross referenced journal produced by IAMURE Multidisciplinary Research, an ISO 9001:2008 certified by AJA Registrars, Inc. 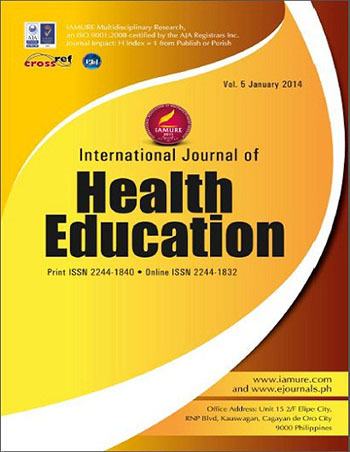 The journal provides a venue for scholars to publish their research findings for advocacy and utilization.